The Parent Association serves as a springboard for parents’ ideas and concerns and as a discussion forum for current issues within the school community. The Parent Association strives to facilitate and encourage parents’ active and positive communication with the Faculty and Board of Directors, to strengthen social bonds within the Linden community, and to promote volunteerism. Coordinates with committees to support festivals and school events requiring parent volunteers. Initiates and coordinates social events to foster a spirit of community within the school.  Works with Faculty to support parents in their understanding of Waldorf Education. Solicits parent feedback, shares in joint problem-solving, and promotes the flow of information between parents and other bodies of the school in matters affecting the parent community. The Parent Association consists of a chair, a co-chair, a representative from each class, a faculty representative, and an administrative representative. The PA class representatives perform a different role than do classroom parents. PA membership is voluntary and is affirmed by the parent community. Positions for the following year are announced and filled before the close of the current year. The Parent Association meets on a regular basis throughout the school year. For more information, please contact a PA chair at parentchair@lindenwaldorf.org.